Bruton Smith has been thinking intently about the sport of NASCAR and now wants to have extensive talks with NASCAR’s top executives about improving the sport’s image and level of competition. 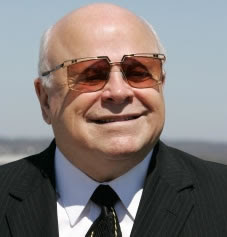 Who is Bruton Smith you ask? He’s the founder of Speedway Motorsports, Inc., which owns six NASCAR tracks that host 11 NASCAR events. His philosophy is this. Winners don’t get paid enough, losers get paid too much and drivers should be fined less for emotional outbursts.